Ruby has the best spot in the house during story reading time. 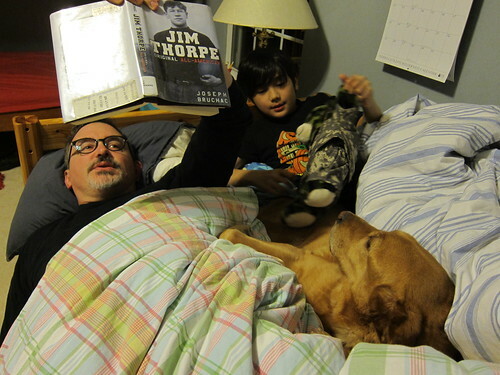 I love that Jeremy reads to Vince because I don't really like reading aloud. I also like that we also tend to pick kind of obscure books - no Harry Potter or Lightning Thief here. I'm so, so sorry for you and for anyone related to Emma. Please send my love to complete strangers from a complete stranger Know I am thinking about a little girl named Emma.